Following the Galaxy S6and S6 edgefrom 2015, and the Galaxy S7and S7 edgereleased earlier this year, Samsung is now working on two different Galaxy S8 models- no surprise here. What may be surprising is that, according to a recent rumor, both new Galaxy models could sport curved screens, which may mean there won't be a regular and an edge version. Since the Galaxy S7 and Galaxy S7 edge have the model numbers SM-G930 and SM-G935, respectively, one would assume that the S8 series will include SM-G940 and SM-G945 models. However, it looks like this won't be the case. Evan Blass (renowned for being almost always accurate in regards to unannounced devices) says that the upcoming Samsung Galaxy S8 smartphones "will ship as SM-G950 and SM-G955. More interestingly, Blass also mentions that Samsung is working on an SM-N950 - which can only be a new Galaxy Note (since previous Notes have the model numbers SM-N930, SM-N920, and so on). 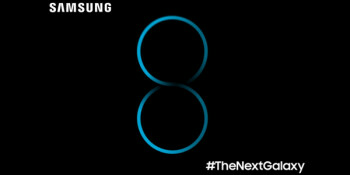 There is no word on what name or features the next Galaxy Note could have, but we're guessing that, after the Galaxy Note 7 fiasco, Samsung wants this device to represent a new beginning. We also assume that this next-gen Galaxy Note will be released sometime in the second half of 2017, with the Galaxy S8 serieslikely hitting shelves in the first half, but that remains to be seen.